Microsoft, docx & "Free File Viewer"
My wife got an email with an attached document the other day. It had a filename extension of docx, which her computer (Windows XP, Service Pack 3) did not recognize. Go to the web to find an application that will open it and we have a Microsoft web page with a list of four applications. The last one is labeled Free File Viewer. I like the Free part, and as none of the others say Free, I suspect that they will cost some amount of money. So I select the Free File Viewer. I think this must have been one of the most obnoxious installations I have ever done. There were half a dozen screens to step through, and every one of them had a list of options. All these options were turned on by default and they enabled the installation of all kinds of other stuff besides the Free File Viewer. I carefully deselected every single one, but it still managed to install the Yahoo Toolbar. Fortunately, Firefox detected this, and gave me a chance to remove it right away. Next time I need some kind of utility program, I will go someplace else besides Microsoft. Daring daughter and I went over to the East side this morning to scope out The ReBuilding Center. They collect used building materials and resell them. It is a funny sort of business to try and run here in Oregon where our prime export to the rest of world used to be lumber. If you have a lot of time to spend rummaging around, I imagine you could probably find what you need. They have everything: lumber, lights, doors, windows, siding, cabinets, hardware, and on and on. Darling daughter was totally enamoured of the place. She found all kinds of things that she thought she could make into something cool for her new apartment. To me, the doors were the only thing there that looked like they might be valuable. Doors come in pretty standard sizes, and solid wood doors are almost a thing of the past. The only solid wood door in my house is the front door, and it cost several hundred dollars 15 years ago. There are a couple of other "solid core" doors in my house, but I eventually found out that the "solid core" is foam, not wood. I was surprised when I discovered that. We took a walk around the neighborhood later. It's a nice place. They are not honey bees. I am not sure they are bees at all, they might be hornets. But over the last 4 or 5 days they have been showing up in the family room, flying around for a bit and then keeling over dead. There are a grand total of maybe 2 or 3 dozen. I have not found any others anywhere else in the house, and I haven't been able to figure out where they are coming from. A quick scan of the outside of the house didn't reveal anything. Seems like there are always one or two buzzing around the window, but they don't seem to last long, and they don't seem very energetic. It is really kind of weird. 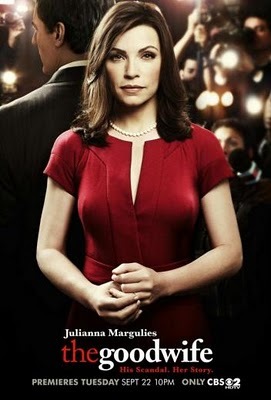 My wife and I have been looking for a new crime series to watch. We've watched all the original CSI and Law & Order: Criminal Intent episodes. We tried Burn Notice and Bones, but they didn't make the cut. I can't watch CSI:New York, CSI:Miami or Law & Order: SVU (lead actor roles are too macho). The original Law & Order spends too much time in the courtroom arguing bizarre points of law for my taste. But the best part is the pervasive corruption. It's like a network of lines spread throughout the population. The lines don't touch everybody, at least not directly, but it's all around, all the time. It's hidden so you don't see it directly and some of it may never come to light, but it's always there. Is the iffy husband corrupt? Well, I've watched enough episodes to see where the battle lines have been drawn, and it's pretty clear that he is one of the good guys, or at least he is on "our" side. I am pretty sure corruption has been around as long as there has been something that was worth corrupting, i.e. forever. The show's story line sounds like it is making progress against the bad guys, and I imagine the current villain will get his come-uppance in the season finale, but corruption is eternal, so next year we'll have a new villain and the cycle will continue. I'm reading Dustbury and he quotes Roberta X, another one of my favorite bloggers, and she mentions the Sons of the Red Diaper, and I say Whiskey Tango Foxtrot, who are the Sons of the Red Diaper? So I look it up and find an entry on Wikipedia (Red diaper baby)* that explains the term and mentions that Josh Kornbluth had a one man show of that name, and I think, Josh Kornbluth? Monologist? That wouldn't be the same guy who did the Ben Franklin show I saw a while back, would it? Well, yes it would. Which reminds me of the closing lines of that show, where he concluded that Ben Franklin must have been a communist, after all he supported free public libraries, free public schools and free public hospitals. Of course there is the idea of communism and then there is the version practiced by countries that claim to be communist, and they are two very different things. I have severe misgivings about the future. You can tell I'm not that sure what will happen, though, because I've taken only limited and tentative steps to hedge against a societal collapse, beyond the sensible precaution of being old enough that I probably won't live to see it. Real Americans are anti-social, stand-offish, grouches - who don't let other people tell them what in the hell constitutes a "real American", dammit. Tam quoting a comment by Bram written in response to one of Tam's posts. Sometimes I will start looking into a subject, and I will start collecting pictures. If you find a web site that has several pictures you want, I find it is quicker to simply save the entire web page than to download each individual picture. Maybe it's just my browser, I don't know. In any case if you do this from more than one site, you are liable to find you end up with multiple copies of the same picture. People steal pictures ruthlessly. To get rid of the duplicates, you can use two picture viewing programs, and resize the windows to share the screen and visually compare them. That can be a bit of a pain. I normally run all my Windows programs at full screen resolution. Dealing with windows that are smaller than that is a pain. There are programs that will locate and delete duplicate files for you, but they generally cost money. I wrote one many moons ago, and it still works, but it runs in a DOS box and is slower than molasses compare to some of the new ones. If you are only looking at a few files, or you can let it run, it's fine. The programs to delete duplicate files won't necessarily work well for images, because the same image can be encoded in different ways. You can encode the same image two different ways and the files will be completely different. I found a free program that looks for duplicate images, shows them to you and then lets you choose which one to delete. It's a little old, and it's a little clunky, but it's free and it works fine. It's call Dup Detector and it's available from Prismatic Software via RAREWARE here. Occasionally I will make up a list of stuff using a spreadsheet. Each item in the list will have a number which will go in the first column. I don't like typing in long lists of individual numbers, so I will put the number one in the first cell at the top, and then I will use a formula like =A1+1, which I can then copy and paste in the rest of the column, and presto! I have a column of sequential numbers for my list. The whole point of putting a list in a spreadsheet is so that you can sort it by various columns so you can easily see just how many you have of each color, size, perversion, or whatever talents you included. That concludes our lesson for today. Now you can tell your spouse you learned something new, and they will be happy. If you already knew how to do this, well, you can spend the rest of the day feeling superior. Steve sent me this video clip of a Mercedes doing a barrel roll. Very cool, but for all those guys with their laptops, lab coats, headphones, clipboards. What a lot of BS. Especially since Top Gear did the same stunt in a real car in a real situation. OK, it's not any more a real situation than the Mercedes stunt, but it looks more like a real stunt and less like a Hollywood production. October 2016 replaced missing videos. My wife and I drove up to Orcas Island for a couple of days last week. We think it's only the third time we have been away from the kids since we started this family. We stayed at the Kangaroo House B & B. We had a good time doing nothing, reading mysteries, eating at restaurants, sleeping. No computer, no internet. We did go for a hike in Moran State Park. We originally planned to take a walk around the lake, but I saw this trail heading up the hill and said "let's take this one". We climbed until it started heading back down. I was already pretty tired and I didn't want to go someplace that I was going to have to climb out of to get back, so we decided to turn back. We climbed maybe 500 feet in about 45 minutes. It wore me out. Steve sent me some of these pictures. I thought they were pretty cool. I was just going to post them, but the explanation that he sent got scrambled by the email demons, so I thought I would see if I could find one that wasn't. The explanation Steve sent claimed these pictures are of a waterfall that catches the light from the setting sun and it makes it look like it's on fire. But the first explanation I find on Google claims the Yosemite Firefall was an old tradition of pushing a burning bonfire off the top of a high cliff. OK, guys, somebody is being funny. A little more checking reveals that both stories are true. The first half dozen pictures are of the Horsetail waterfall illuminated by the setting sun and last few are of the remains of the bonfire falling down the face of a cliff. Two different events, two different locations, but both in Yosemite. Ever since Reagan there has been this incessant cry about business this and business that. Business needs less regulation, less government interference. Business provides more benefits to more people if we just let the force of the market dictate which businesses shall succeed and which shall fail. By and large I tend to agree with this sentiment, or at least I used to. The problem with this is that businesses are amoral. They aren't a church, or a court, they are organizations devoted to making money, presumably doing things more efficiently than people could do for themselves. Because they are more efficient they can charge a price that people will find it easier to pay than to do the work themselves. Because businesses fundamentally don't care about the world outside of their own operations, they may engage in practices that are detrimental to the society that hosts them. Witness out-sourcing and off-shoring, two practices that have put a lot of Americans out of work. Then there was the economic meltdown caused by businesses running amuck. That probably did more damage to our economy than all other factors combined. This particular debacle got started when the regulations governing mortgages changed, and the worst part of it is that, much as I hate to say it, the change in loan regulations happened under Clinton. I found this on Sipsey Street Irregulars. As near as I can tell, the numbers are all conjecture, but they do sound reasonable. The Virtual Museum of Flying Wonders! 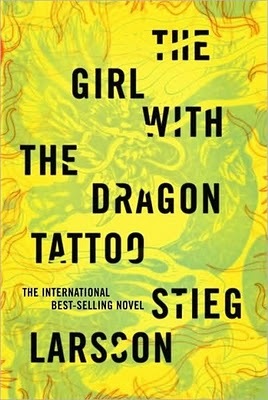 I just finished reading the Scandinavian murder mystery: The Girl With The Dragon Tattoo by Stieg Larsson. My wife picked this one up at Target. I saw it sitting on a table, picked it up and started reading and basically didn't put it down until I was done. Except for this one part where the protagonist makes a couple of boneheaded mistakes and gets himself in a real stinking jam, and that kind of pissed me off. It's like when you are watching a horror movie and you have a tense situation and some clown jumps out from behind a door just to scare somebody, thinking it’s funny. Just once, instead of the girl just saying “jeez, Jimmy, you scared the s**t out of me”, I’d like her to preface that by blowing his head off with a 44. That would teach the stupid jerk to not pull stunts like that. I took it with me to the doctor's office the other day and everyone there commented on it, which was a little unsettling. Here I am enjoying popular culture, and as we all know popular culture is often garbage. In this case it is not. For the most part the characters are very real. There is some fantasy to it, but that's one reason why we read fiction, isn't it? It does have a bright yellow cover so it is eye catching. From a comment found on Cripes Suzette. The Atomic Lab. I have been reading Richard Feynman's QED (Quantum Electrodynamics) and it got me to thinking about the famous two-slit experiment. So I went looking on the web. I have not yet found what I was looking for (which was specific dimensions of the slits and the beam of light) but I did come across this website, which, among other things, has a pretty good explanation of what a Bose-Einstein Condensate is, and how it is made. Never mind the picture, you can't buy it at the store, but who knows? In 20 years you might be able to. Lasers were invented 50 years ago and now they are everywhere. No, we don't have Ray-Guns yet, but that's probably a good thing. I have come up with yet another excuse for a public works project to put all the unemployed to work: Civilization depends on it! Look at the Ancient Egyptians. Their civilization lasted for thousands of years. And look at the Roman Empire. It lasted for thousands of years, too, or at least hundreds. What were these two civilizations known for, and what did they leave behind? Giant things made out of rock. The Egyptians put thousands of people to work for hundreds of years building the pyramids. The Romans put thousands of people to work building roads, theaters and aqueducts out of stone. So in order to preserve our civilization what we obviously need to do is put millions of people to work making things out of rock. Roads and bridges would be a good place to start. Buildings are another possibility. If that isn't enough, we could work on building a wall along the border, either the Canadian or Mexican border. It doesn't really matter. The point is to put people to work. If we still haven't put everyone to work, we could make our own set of pyramids. That would certainly take up the slack. Wouldn't have to pay them much. A dollar a day, enough food to do the required work, free medical care. Sundays off to attend an all day religious service that would be especially designed to keep you happy carrying rocks the rest of the week. No pension, no retirement. Work until you die. Retired people have too much time on their hands. They just sit around and think of ways to make trouble. Full employment from the time you are able to lift a rock until you can't carry one anymore. We have E-mail! The Windows XP installation on the old Dell system went smoothly. Had to install some drivers from a second CD. I picked up the old laptop's hard drive from the repair shop this afternoon. They were pleased to get my check. I left the laptop with them. They may be able to use it for parts, like the keyboard and/or screen. I pulled a stick of memory from the old gaming system and put it in the old Dell, downloaded and installed SP3 and Firefox. The SP3 installation turned on the firewall by default and left the other stuff turned off, which suited me fine. Imported my wife's address book and old messages directly from the hard drive from her laptop. Now all we need is the password. Calling Verizon gets me a number to Frontier. Call Frontier and I get exactly the same Robo-cop automatic menu system as I got with Verizon. Finally get through to a person and he tells me it's going to be another week before their email system is actually working. My wife finally gets in the act and starts looking for the folder with the email id's and passwords. I've been looking for it for days. She finds it in five minutes. Open the folder and there's her ID and password. Type them in and presto! Downloading 549 new messages . . .
She gets a lot of spam. Total expense for this operation was under $100. $30 to the repair shop, $48 to Newegg for the new hard disk drive and $19 to Iguana Micro for the external hard drive case for the disk from the laptop. The only thing lacking on the resurrected Dell is a decent screen. Right now it has an old 17" CRT. Remember when a 17" screen was the cat's pajamas? No, probably not. It's hard to get a good shot of a dragonfly. They are fairly big: they have a long body and long wings, but they are skinny, so you have to get close to get any detail. I didn't think this shot was too bad. My daughter cut up a watermelon for a fruit salad this afternoon. I have never seen anyone cut up a watermelon by cutting the rind off first and then cutting up the fruit. The way I've always done it, and the only way I've ever seen it done is to slice up the watermelon, rind and all, and then separate the rind from the fruit. Where do these kids get these weird ideas? Ross pulled this bottle of tonic water out of the cupboard. Tonic water is normally like soda pop: the water is carbonated and the bottle is pressurized. This bottle is several years old, and not only is the fizz long gone, but it evidently continued to pump gas out of the bottle after the pressure was all gone. If I had left it be would it eventually have pumped all the water out too? I suspect some kind of chemical reaction, but I don't know what it would be. This is just all around too weird. Michigan Mike goes for cruise. It's quite slower than it appears. Upstream against a 5 mph current it makes about walking speed against the bank. On flat water it manages a good clip. It's a Sportspal canoe, like 35 lbs superthin aluminum, and an Evinrude Mate 1.5 HP 2 stroke water-cooled from 1969, that weights about 20 lbs. Portage whole thing if needed, I suppose. You can find those motors occasionally on CL. I got mine on ebay. (Another) Mike (redacted) brought home a dead one which I replaced rings in and it ran. Needs main bearing before it grenades, though. Mine has cord start, his has recoil. And they are noisier than paddles, so earplugs are needed. But I think I could do a multi-day trip in one. Looking at Muskegon River. Parts are available online still, except for main bearing, which I found on ebay and came in an "OMC Waukegan, IL" OEM envelope. OMC is responsible for the nearly complete deadly contamination of Waukegan Harbor due to improper PCB disposal of hydraulic fluid through floor drains. The laptop is dead. I complained about the problem with copying entire directories under Windows to my friend Jack and he recommended I use the Windows backup program ntbackup, which supposedly comes with WinXP. Well, it didn't come with my machine, but it's available for download. Usually when I download something I go to the source, less chance of getting some kind of malware. In this case it's Microsoft. Microsoft wants to validate my system before it will let me download the file. My system is legit, so I should be able to pass their validation. On the other hand, who knows what kind of rathole clicking on the Validate Now button will open up, how many more screens will I have to wade through, or what other BS awaits me once on I click on this innocuous looking button. I download a copy from another site. It installs OK and runs fine, makes one big file out an entire hard drive. More importantly, I can extract the files I want. The user interface is a little clunky, but the program is ancient for a Windows program, so I can excuse it. It seems to work, and that's what counts. The shop charged $30 to tell me the laptop was not worth repairing. It needed a new motherboard which would cost $450 and and the hard drive had a bunch of errors indicative of its' coming demise. I am not pleased with HP, again. Five years sitting on a desktop and it fails. It hasn't so much as been carried out of the house. I wrote a check to the shop and put it in the mail. I had asked them to check it out and they did. No sense quibbling over trifles like $30. Only I after I mailed the check did I realize I really could use the hard drive, but I didn't want to go to the shop and ask for the hard drive and give them some lame line like "the check's in the mail", so I have waited till I am reasonably sure the check has been delivered, so they won't think I'm a jerk. Of course the problem here is we don't really know what the problem is. There could have been some easily fixed problem and the shop saw an opportunity to sell this valuable laptop out the back door and make a hunert bucks. Okay, now you're being silly/paranoid. The problem with the computer could probably be easily fixed, if it could be located, and that's the real problem. There are so many circuits so tightly packed that tracking down the problem could take hours if not days, and that's only if you had a map (a schematic and a layout diagram). Without those it could take months or even years. And since a comparable laptop probably sells for about $500, you would have to be a real masochist to attempt to track it down. The hard drive I ordered from Newegg arrived the other day, so now I'm trying to get another computer going. I have one of my son's old gaming computers, one he discarded a couple of years ago while he was on his quest for the ultimate gaming system. So I hooked up the hard drive and attempted to install Windows on it from some CD. The installation goes fine, until it comes time to reboot and now it wants part 2. Part 2? What Part 2? Bah. But wait, I have another old computer, this one a Dell. It's older, but it's the same vintage as mine, so it should do fine, and I have the original, official Dell Windows installation disks. I can use this. Actually this computer is still functional, it's just that the hard drive makes this ugly whining sound. Seems nobody bothered to tick the "shut down the disk drives when sleeping" button when it was new, so it ran continuously for about five years. So we replace the disk and start the installation. Now it's time to go check on it, see how it's getting on. It's still formatting the drive, and now it's lunchtime. More later. I don't think I've ever seen a hummingbird in Oregon before. This guy was in my back yard. I saw a moth once that was bigger than a hummingbird. The moth had a probiscus that was curled up in a spiral. He uncurled it to insert it in a flower, and when he was done he would curl it up again and fly away. Only saw the moth that one time. This time I had a camera, and I was able to get a shot and a short movie. The hummingbird actually sits on the branch for a bit. We had hummingbirds around our house when we lived in Arizona, but I never saw them sitting still, they were always on the move. Saw this outside the doctor's office this morning in Beaverton. No windshield, no rear door, plants growing in the back seat. Found this in an old file. I still like it. The girls flew back from Europe on a big Airbus jetliner that had the restrooms on a lower floor. You took stairs to get to it. Once you got downstairs there was a small room, perhaps 5 feet by 10 feet with doors on all sides that led to the restrooms. There were a number of people standing in this anteroom. Supposedly some of them spent the whole flight standing there. This is great thing. I think one of the things I dislike about flying is having to stay in your seat for hours on end. Being able to stand up for a while without being in someone's way would be a good thing. Jack and I went shooting up in the Coast Range yesterday. We drove around on the logging roads for a while looking for the elusive "Minus Pit". We caught this view of Mt. Rainier, Mt. St. Helens and Mt. Adams from a gravel pit near the top of the hill. Those are the white cloud-like smudges just above the horizon. Click to embiggen. They looked a lot more like mountains in person. There was a lot of shot up debris in the gravel pit, evidence that a lot of people had been using the place for target practice. There was also a red fire tools trailer parked there, and amazingly enough there didn't appear to be any bullet holes in it. Eventually we gave up on finding the Minus Pit and just made do with some random dead end road. Looked like someone had been camped there for a while. There was a rough skeleton of a structure made out of skinny logs lashed together, a flat spot where a tent had been pitched, and some steps cut into the embankment on the uphill side. There were also a bunch of wine glasses. Some broken, some not. This was a real surprise. Usually anything we find up here that looks it could be used as a target already has a hundred holes in it. I'm thinking someone lost their house and moved to the woods, and then one day realized this living in the woods wasn't working out so well, and what good were wine glasses if you don't have a house, just pitched it all and took off. It was a warm day, but out there in the woods it was very pleasant. Except for the earmuffs I was wearing for hearing protection. I didn't notice sweat anywhere else, but as soon as I put those things on, the sides of my head under the earmuffs would become drenched. Ear plugs might have been a better choice. I had been getting by on my store of ammunition, but I was getting low and had actually run out of a few calibers, so I went out to a couple of stores and bought some. This is what a hundred dollars worth of ammo looks like. Two boxes each of 9mm and 38 special, and 120 rounds of Russian AK ammo. You can save a dollar a box here or there, but it's basically gonna run you about 30 cents a round. I fired about 100 rounds. I did pretty well with my Smith & Wesson 38 Special, and OK with my CZ, but I couldn't hit diddly with Jack's K-Tel pocket pistol. I probably could have a hit a bigger target at closer range, but from 20 feet away the bullets were going into the weeds. I made the 10 holes in the white board with 12 rounds from my 38. The big holes on left part of the black board were done by Jack with his 44. I made the holes to right with my CZ. The CZ is a little wild. Jack made the little holes with his 22 rifle. We were shooting from about 60 feet (25 paces). We eventually did stumble across the Minus Pit on our way out, but for someplace that is named for a kind of rock, it was the least rocky place we had been. There is a cliff about 50 to 100 feet high, but it looks like it's all dirt. We stopped at a bar in Manning for burgers and brewski's on our way back. Manning isn't much of a place, just a wide spot in the road. The place was on the wrong side of the road, and we were a little apprehensive about that. Last time we pulled onto the wrong side of Highway 26 during the weekend it was like an hour, man, before there was an opening in traffic allowing us to get across. This time it was not a problem. I guess the recession is good for something. The burgers were good, the beer was cold, and the waitress was pleasant. 0.0036 °F/f if you are using the English system. K/m is degrees Kelvin, or rather in new-fangled new-speak, just Kelvins, per meter. Since Kelvins are the same size as degrees Centigrade (or is that now just Celsiuses? ), and we aren’t concerned about absolute, just relative temperature, you could just use the local temperature in Centigrade. °F/f is degrees Fahrenheit per foot, and if you live in America, that should be enough of an explanation. So if we had a thousand feet of altitude, which is stretching it, we should have experienced a difference in temperature of four degrees. That might be enough to notice, but it certainly wasn't the 20 degrees it felt like. Could it be that the trees were absorbing enough light from the sun to keep the air relatively cool? Pravda R us. Is it just me, or is it really getting harder to tell the "real news" from parodies like this and The Onion? I originally wrote this a month ago, but I started to expand on the politics and got bogged down. Now I'm trying to clean up my files, so I decided to cut the political commentary and just post this. Watched this with my daughter this week. What a fantastic movie! Someone sure put a lot of work into it, creating this world and all the plants and animals. They were just amazing! They have gotten a lot better at animating motion. Usually when I watch CGI (Computer Generated Images) I notice little glitches in the motion. Something is just not quite right about the way a person or animal moves. On one one hand it's very subtle. It's not like I can point out exactly what is wrong, but on the other hand it's blatantly obvious. It sticks out like a sore thumb. I didn't see any of that in this movie, or if I did, I chose to ignore it, because in general, the motion was dang near perfect. Then we have the human's machines. Movie makers have gotten very good at this sort of thing, but I didn't notice anything that could be considered a quantum leap better like I did with the biological forms. Marc told this one at lunch today. Some time ago a friend of his bought a used car, nothing special, it was cheap enough and drove well enough. Everything was fine. And then one day it developed a leak in the gas tank. That's kind of odd, but no big deal, drain the gas, disconnect the fuel lines and undo the straps holding the tank up. He was lying underneath the tank when he dropped it down, he wasn't expecting much, I mean it's just a big empty sheet metal box, but it darn near crushed him. He crawls out from under the tank and the car, pulls the extremely heavy gas tank out after him, tips it up on end to see if anything comes out, and out comes a huge pile of change. He washed it and took it to the bank and there was over $400. He went back to the lady he bought the car from and told her about it, and she told him that her husband used to put all his change in the tank whenever he bought a tank of gas. When the car got old, he would have enough change in the tank to make a down payment on a new one. She told him to keep the money. The way we figure it, the change sliding around in the bottle of the tank wore the bottom of the tank thin and eventually made a hole. My wife's laptop has died. I have a couple of old computers lying around, so I thought I would resurrect one so she would have something to use until we get the laptop sorted out. I fired up the best of the lot and it booted the Windows install CD just fine (which only takes an eon), but it couldn't find the hard drive. What's going on? I was sure the hard drive in this system was working fine. Try it in another system and it is indeed dead. Bah. Guess I'll have to buy a new one. Well, looky here, Newegg has 80 Gig drives for $40. That's certainly cheap enough, so I ordered one. Shipping was $8. With the way disk prices have fallen, you can probably buy a terabyte drive (that's a million megabytes) for $100, but I really don't want or need that much space. Just copying 20 Gigs off of the hard drive from the laptop took me six hours last night. I might have been able to cut it down a little if I had been willing to sit there and babysit the stupid machine, but that is something I just won't do. It should only have taken 20 or 30 minutes, but good ol' drag and drop isn't much good for copying an entire hard disk. It runs for awhile and then it croaks on some file. It doesn't tell you where the file is, and there is no telling what order things get copied in, so all you can do is copy everything in that directory again, EXCEPT leave out that file. The first problem was the System Volume Information folder in the root directory. Wouldn't copy that. Fine, copy everything but that. Then we start running into problems with file names in the Application Data subdirectories (every user has one). We have files that are buried in directories that are 20 levels down, and Windows is complaining that the filename is too long or some nonsense. I ran checkdsk before I started and it didn't find any problems. Windows is wonderful. Just keep telling yourself that. Of course, only a neanderthal would think that copying everything would actually copy everything. There's probably some special program available that will do it. If I had know it was going to take six hours I would have spent the time necessary to track it down. Anyway, I gave up trying to copy the Application Data. While I'm on Newegg (looking for a new hard drive for the old computer), it occurs to me that flash memory has gotten really cheap. For that kind of money I should be able to buy a solid state disk (SSD) for less than a hard disk. Turns out that isn't the case. They are more expensive than hard disks. What the heck is going on? I smell a rat. I’ll bet the disk drive vendors are paying off the memory card makers to keep their prices high so they won't cut their legs out from under them. Actually, no, it's not a conspiracy. I forgot about swap space. Elliot reminded me at lunch today about that. Swap space is a special section of space on your hard disk. The computer uses this space to pretend that it is has zillion bytes of memory (RAM), even though it actually only has 500 megabytes. Since the computer can only do one thing at a time, it loads whatever it is working on into RAM, and whatever it doesn’t need at the moment gets written out to swap space. If you have several programs open at once, and you are changing back and forth between them, stuff is getting transferred between memory and swap space all the time. Regular flash memory (like what is used for the BIOS and your USB thumb drives) has a limited lifetime. It can only be written about 100,000 times before it starts failing. Most of the data (like the operating system files and application programs) on a hard disk gets written once and stays that way. The small amount of user generated data (your email, the letter to your mom, your Quicken files) isn't going to have a big impact on the write limit. For that kind of use regular flash memory would be fine. However, the swap space, and to a lesser extent, the internet cache, get overwritten continuously whenever the computer gets busy. If you overwrite your swap space a thousand times an hour, your SSD memory made with regular flash memory chips would only have a working lifetime of about 100 hours. That would not be good. So they are using something else, something better, something that lasts longer, and evidently, costs more. I took the laptop into a local repair shop today. We’ll see what they find. It may be something as simple as a bad memory card, or even just a dirty connector, or it might be a BIOS virus. I suspect the virus. Murphy’s Law, you know. If that is indeed the case, that will mean writing a new BIOS into the flash memory where the BIOS resides. HP (maker of the laptop) has a program you can download that will update the BIOS. Unfortunately, your computer must be in operating condition to run it. It’s a Windows program. What I need is a boot CD with this program. I did some looking today and I didn’t find any sign of any such animal. The laptop may be goner. I’ll just have to wait and see. Meanwhile, when the new disk drive gets here, I can set up the old computer so my wife can access her Outlook Express files. I hope. Here's some drawings of the molecular structure, and one micrograph of a seed used for growing zeolite crystals. Here are some pictures of natural zeolite. Some look like plain rocks, others are elaborate crystal structures. Lastly we have pics of what the stuff looks like on the commercial end of things. from Science News. Curious. This might explain why a woman will stay in a bad, even abusive, relationship. Doesn't explain why a man would stay in a bad relationship though. I originally read this story a couple of weeks ago, and didn't think much about it, but this one line stuck with me and so I finally went back and tracked it down. We Dive At Dawn is a British submarine war movie made during WWII. It's really pretty good. The British accents are a bit thick, and being as this is an old movie, there are no subtitles (AKA closed captioning) available. There are a number of reviews out there on the net that can tell you all about it. I watched it this weekend and there are a few points that struck me. The submarine is dispatched to attempt to intercept a German battleship on it's way to the Kiel Canal, which cuts across the Denmark peninsula. On the way the submarine encounters a life saving station out in the middle of the North Sea. There are three stranded German aviators on it, and as soon as they see the British sub they attempt to send a radio message. The Brits shoot down the aerial, and the Germans jump into water and swim as quick as they can to the submarine. This whole scene was kind of weird. Life saving station in the middle of the North Sea? They have a radio, but haven't been rescued? They report the subs position (so it can be sunk), and now they desperately want to get on board that same submarine? Something just doesn't compute here. To get to the battleship they have to negotiate a mine field and a submarine net. The underwater shots were utterly convincing. I imagine they were probably done with models. With the grainy images, the water being not totally transparent, and the lack of background probably made it easier to fake, but well faked it was. They got through the submarine net by repeatedly ramming it. The net appeared to be made of 1" or 2" steel cables tied into squares between four and eight feet on a side. The submarine was about six squares high. They had to ram the net five or six times, and each time the cables on the net gave way a little more. I was talking to Jack about this at lunch today and he thought it was totally bogus. I am willing to give them the benefit of the doubt. Someday maybe I'll stumble over some stories about submarines versus nets and I'll find out. When they catch up with the German battleship there is a lot of fussing with getting the sub in position to fire. When they do finally get in position, they let go with all six torpedoes, in sequence, one after another, spaced a few seconds apart. I seem to recall reading about submarines having that many torpedo tubes, but I don't recall ever seeing a submarine movie where they launched six torpedoes all at once. Four maybe, but never six. That was a surprise. There are German destroyers in the area and they are soon dropping depth charges on our heroes. Due to the incessant pounding the submariners don't know whether they have hit their target or not. Eventually their fuel tank is damaged and they lose most of the oil for their diesel engines. They have a dead German prisoner on board, so they decide to pull the old blow-a-bunch-of-junk-out-the-torpedo-tube ploy to convince the Germans that they have successfully sunk the British sub. In addition, they surface the submarine aft end first briefly, just enough to stick the tail in the air, before it slips back below the surface. Evidently the combination of: 1) a large amount of oil on the surface, 2) a dead body dressed in a British officer's uniform, 3) a bunch of flotsam, and 4) the apparent last gasp of the submarine itself was enough to convince the Germans that they had killed the interloper. I have seen the old blow-a-bunch-of-junk-out-the-torpedo-tube ploy many times before. This may have been the first. They have escaped destruction, but they are in enemy waters, far from home, and nearly out of fuel. The captain decides to head for a nearby island, let the crew go ashore and then scuttle the submarine. The crew will be interred, or more likely sent to a prison camp, for the duration of the war. And then some wiseguy pops up and tells the captain about a nearby harbor where they might be able to steal enough oil to get home. Well, getting home would be a heck of a lot better than what they were facing, so they go for it. As luck would have it there is a Danish tanker in the harbor, and the captain is more than happy to help the British steal some of his oil. Denmark is occupied, so there are German soldiers about, so we get a firefight where the valiant British soldiers mow down a bunch of the evil Nazis. The whole point of this paragraph was to talk about the Danish Captain. It was really nice to run into someone so agreeable. I saw another episode of Top Gear the other day. This time the challenge was to buy a used car sight unseen over the internet in Bolivia and drive it over the Andes to the Pacific Ocean. Each of the three guys picked a different 4x4 vehicle. The show's producers arranged to have them delivered via barge to a river bank on the Amazon River. When they had successfully gotten their cars off the barge and onto dry land, the producers rewarded them with a care package, which included a winch, a chain saw, and a package each of condoms, Tampax and Viagra. After many trials and tribulations, they successfully escaped the rain forest, negotiated the Road Of Death, and reached the Andes mountains. Here they began making use of cocaine in the form of leaves and tea. This sufficed until they got up to about 15,000 feet (of elevation). That's when the Viagra got put to use. Now they have a choice: take the short way over the volcano or the long way around. They have been slogging along for days now and are ready to be done with this, so they opt for the short route. The show makes a big deal about it being an active volcano, but they don't even consider that it might cause a problem, and in fact it doesn't. However, the part about going OVER the volcano does. They get up to 17,000 feet and call it quits. There just isn't enough air. I am surprised they made it that far. I've hiked up to 10,000 feet a couple of times and there isn't any air at that elevation. I found it interesting that there is a road there. Who the devil built the road? And who drives on it? Anyway, the cars are still running, but there isn't enough air for the drivers. They turn back and end up taking the long way around. The simplest oxygen concentrator is capable of continuous delivery of oxygen and has internal functions based around two cylinders, filled with a zeolite material, which selectively adsorbs the nitrogen in the air. In each cycle, air flows through one cylinder at a pressure of around 20 lbf/in² (138 kPa, or 1.36 atmospheres) where the nitrogen molecules are captured by the zeolite, while the other cylinder is vented off to ambient atmospheric pressure allowing the captured nitrogen to dissipate. Typical units have cycles of around 20 seconds, and allow for a continuous supply of oxygen at a flow rate of up to approximately five liters per minute (LPM) at concentrations anywhere from 50 to 95 %. This process is called pressure swing adsorption (PSA). Since 1999, concentrators providing up to 10 LPM have been available for high flow patients, in sizes not much larger or heavier than 5 LPM concentrators. Zeolites are microporous, aluminosilicate minerals commonly used as commercial adsorbents. The term zeolite was originally coined in 1756 by Swedish mineralogist Axel Fredrik Cronstedt, who observed that upon rapidly heating the material stilbite, it produced large amounts of steam from water that had been adsorbed by the material. Based on this, he called the material zeolite, from the Greek ζέω (zeō), meaning "boil" and λίθος (lithos), meaning "stone". So we pump air into a container filled with this funny, probably custom made, rock. The Nitrogen creeps into the rock, which means the remaining air has a higher concentration of oxygen. It does this for 20 seconds and then it switches to the other cylinder, and the first cylinder is vented to the air. The pressure is now lower, so the nitrogen flows back out of the rock. Zeolites are used for all kinds of things, from kitty litter to gasoline refineries to oxygen supplies for aircraft (here's what they used to use). It is basically a porous rock, but it is not like pumice or other lightweight volcanic rock. I suspect it is more like your run of the mill granite. I mean the pores are sub-microscopic. I don't know what these tiny pores do to the density. You wouldn't be able to tell it was porous by looking at it, unless you maybe had a scanning electron microscope, and even them I'm not sure you could tell. Only by observing the disappearance of a liquid of gas and then it's reappearance under heat could you be sure of what you had. I am disappointed. I was really hoping for a micro-cryogenic-fractional-distillation technique. P.S. The Tampax and condoms were used to waterproof some critical parts of the cars when they had to ford a river. Bonus: My 1952 Chevrolet Pickup makes a brief appearance just after the 40 second mark. Marc told us this story at lunch today. A few years ago he broke his leg skiing, just above his ski boot. It was just a simple fracture of the smaller of the two bones. It hurt, but it didn't stop. Three weeks later it was still hurting so he went to the doctor. Doctor X-rayed it and saw the break. The bones were aligned and it was knitting, so there was nothing to be done, just take it easy and it will be fine. Not too much later he gets tackled by the neighbors dog. Same routine, waits a couple of weeks before going to the doctor. Doctor X-rays it. This time the ends of the bone are not aligned, they are slightly offset, but as before, it is starting to knit, so just take it easy and it will be fine. No more accidents befall him and eventually the bone heals and his leg is fine, except he can feel a lump in the bone where the misaligned break was. Now here's the weird part. You might think that the bone would just stay that way forever, but no. After a couple of years the lump had disappeared. The bone had straightened itself out. I guess that makes sense. Bones are alive and are constantly replacing their structure, so it could do that, but how would it know? Pretty stinking amazing what the body is capable of. Ross is reading Tree of Smoke by Dennis Johnson and he really likes it. Coco & Igor is about a romance between Coco Chanel & Igor Stravinsky, which happened in the early 20th Century. I had heard of both of them but I had no idea they were contemporaries, much less romantically involved. I thought Igor was from the time of Beethoven and Bach and all those guys. Of course this is a movie, so it could all be made up and these two were not contemporaries and could not have known each other, much less been making moon eyes.